Merry Christmas and Happy New Year from the Watts family! We hope you have had a good year and hope you will have an even better 2019. 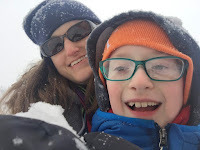 We stayed close to home this year, especially when we got hit with a big snowstorm in January! The temperature got down to the single digits, which is rare for Nashville. We enjoyed having some unscheduled family time. Through the winter and into the spring, we toured and applied to middle schools for Adam. (Middle school starts in the fifth grade in our county.) We realized in the process that things sure have changed... we toured more middle schools than either of us did colleges for ourselves. We finally arrived at a decision to go with Valor Collegiate Academy in early May. 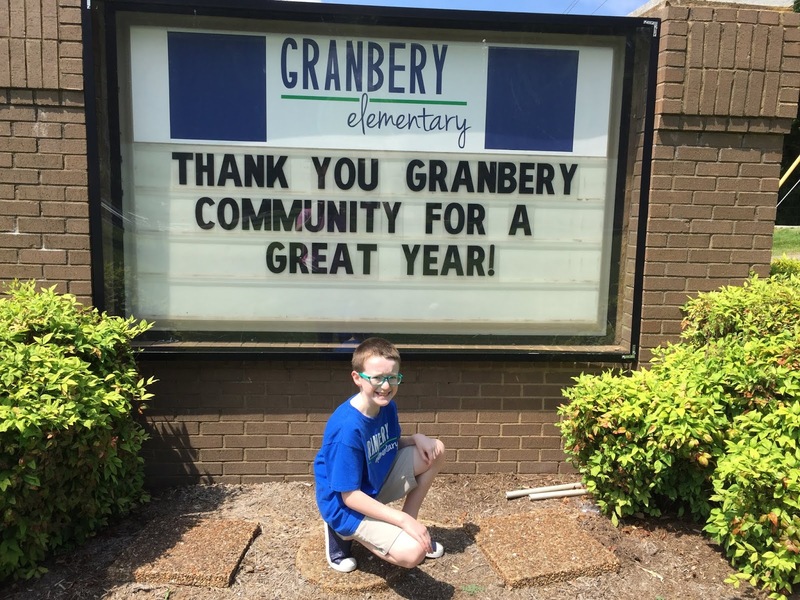 At the end of May, it was time to say goodbye to Granbery Elementary. The faculty and staff there loved our whole family so well for five years. Patrick’s parents were able to come to town for the graduation, and so Adam had all four of his grandparents in attendance. 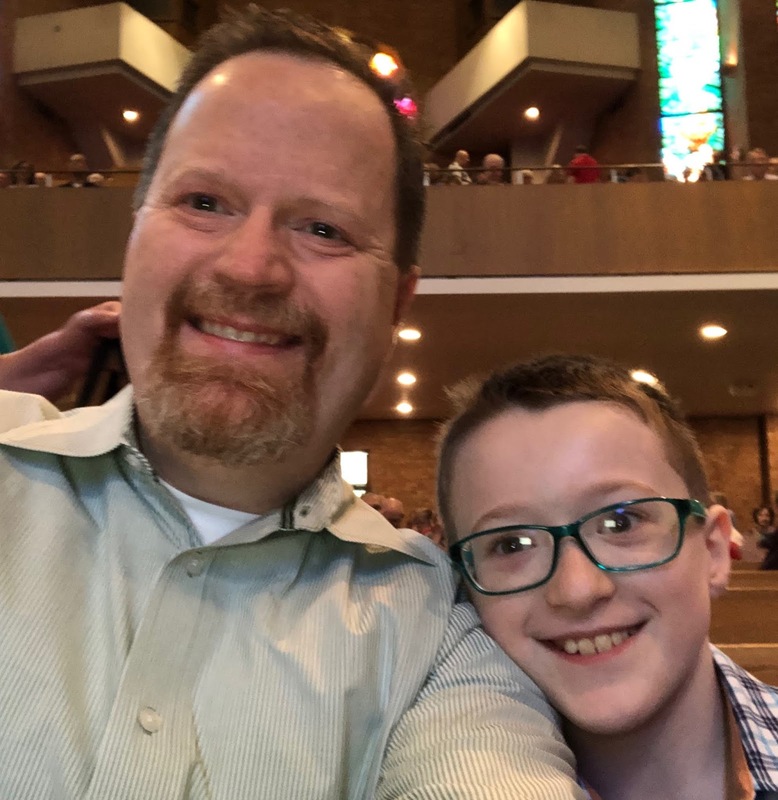 Summer was busy with day camps and church activities for Adam. 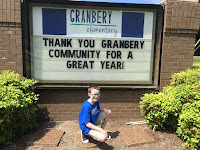 He went to Camp Invention, Vacation Bible School, and Music Arts Camp. Patrick’s sister, Allison, her husband Dave, and their daughter Abby came to visit in June, and Adam enjoyed showing her around the house and the neighborhood. Patrick, Adam, and the Greenes trekked up to Ohio to visit Patrick and Allison’s grandparents, who despite being in their late nineties, still are sharp as tacks and love to love on us. 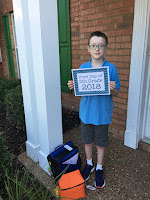 In August, Adam went to two days of “Culture Camp” to learn all about his new school and get to know his new classmates. 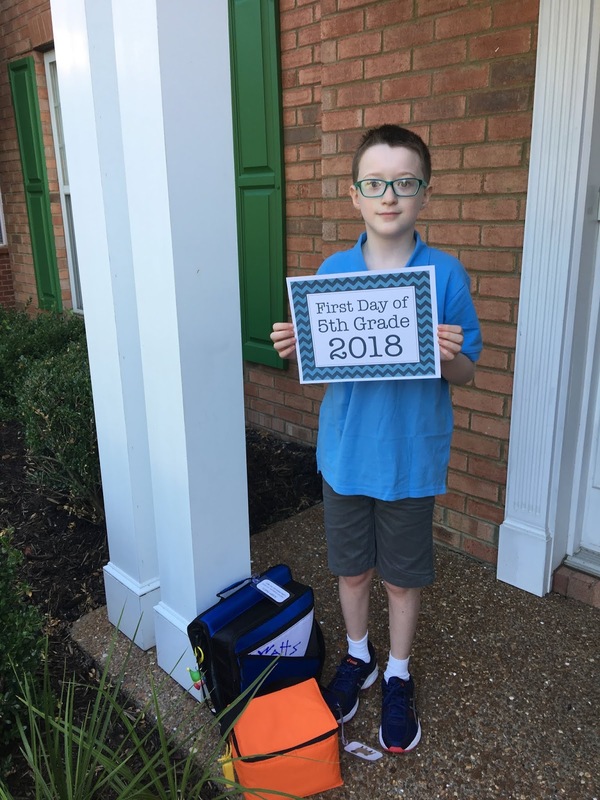 He started fifth grade on August 7th, and quickly started making friends and learning the ropes of middle school. It’s been an adjustment for all of us with new teachers, more homework, a new schedule, and no more school bus. Adam made his own Halloween costume this year, and he was an iPhone! He made the phone out of a big cardboard box, and the charger was a small styrofoam cooler. Lydia has been busy crafting and being the mom of a middle schooler. Some new medicine has helped her this year, but she’s still adjusting to some side effects. the new building for a year now, and he’s already moved from the fifth floor to the eighth floor. He’s now been trained to be a certified scrum product owner. 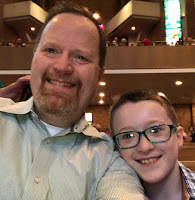 He primarily works on web-based software for churches. We love hearing from our friends and family at Christmastime. Please keep us with us on Facebook or email us at patrickandlydia(at)gmail.com. I've loved watching Adam grow over the years. He's such a great kid! His iPhone costume was my favorite this year. I know this holiday season will be different with the loss of Patrick's grandmother - what a beautiful legacy she leaves, but I hope all of you will still have a peaceful, restful, and joyous season. Merry Christmas!